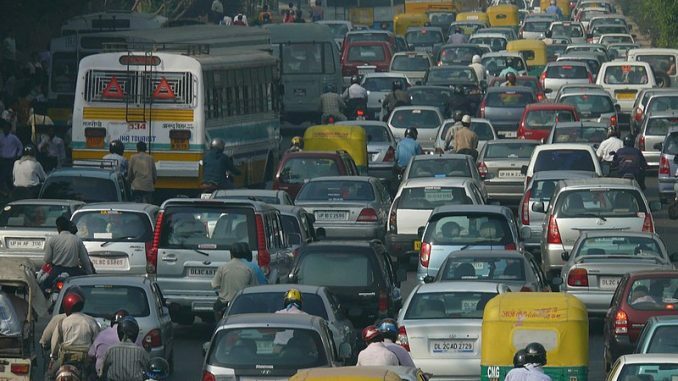 The Supreme Court-appointed Environmental Pollution (Prevention and Control) Authority has mandated fuel stickers for all vehicles plying in the national capital. The order covers all four-wheelers — old and new; private and commercial; cars, trucks and buses. The vehicles must have stickers that indicate what type of fuel is used by them. All vehicles must comply with the order by using stickers before October 2019. Petrol and CNG vehicles are indicated by light-blue stickers on their windscreens, diesel vehicles must use orange stickers, and electric and hybrid vehicles must use green stickers. 76000 vehicles currently have stickers, a further five million vehicles are expected to be issued the same. 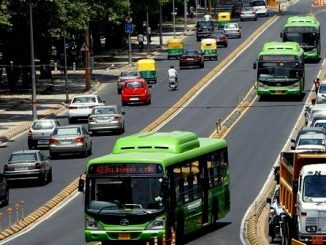 Colour coding as a measure will help authorities distinguish vehicles based on age and emission type, and thus aid removal during implementation of emergency road rationing measures, targetting diesel vehicles. Vehicles without stickers must register online and obtain them from a government-authorised vendor. This is part of a larger slew of measures under the graded action plan to combat the growing crisis of air pollution in the capital. 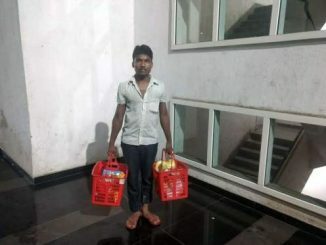 The Brihanmumbai Municipal Corporation (BMC) will revoke licenses of hawkers who have been found to be selling or using plastic, contravening the ban present in the state of Maharashtra. The move comes after widespread flouting of the ban, evidenced by the sale of items in banned plastic covers. Currently the violators have been issued a fine of Rs 5000 but the civic body looks to clamp down harder on the use of plastic in the city. For the effective implementation of the ban the BMC has set up special squads of 300 officials who visited malls, shops, markets and eateries to check for any violation. Thus far the BMC has seized around 46,000 kg banned plastic items and levied a fine of Rs 2.05 crore against violators. The BMC received a circular from the state government allowing the civic body to go after shops that continue to use banned items months after the ban came into effect. Inspections will also continue in bus stops, train stations and the airport. Just over a month after a fire broke out at a train near Maidan Station, the safety of Kolkata metro once again came under a cloud after a fire scare. Smoke was seen coming from under a non-AC metro carriage in the Dum Dum station on January 31st at around 11 am. The metro rail services faced a 30-minute disruption as a result. As smoke emerged the train that was set to leave Dum Dum for Kavi Subash station was halted and the passengers were let out. The rapid spread of smoke caused respiratory problems among some passengers and created panic, despite reassurance from the metro authorities through the station’s PA system. Two passengers received first aid and one passenger with respiratory complaints was sent to the hospital. The affected rake was sent back and a replacement called for. 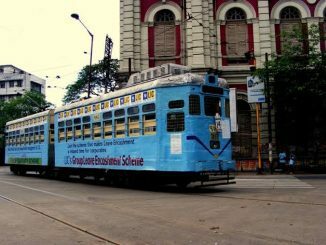 An enquiry has been ordered by Kolkata Metro into the incident. It is believed that the age of the rake was one of the factors behind the fire. A massive fire at the All India Industrial Exhibition in Hyderabad at the popular Nampally Numaish grounds saw hundreds of stalls gutted and two persons hospitalised due to smoke inhalation. According to the police, a fire broke out at the Andhra Pradesh Cooperative Bank at around 8.45 pm on January 31st. The cause is suspected to be a short circuit. The fire quickly spread to adjoining stalls that were erected using bamboo. The premises housed a total of 3000 stalls for the exhibition. Nineteen fire tenders were rushed to the spot with the fire raging quickly, even engulfing transformers. The fire was put out after hours of effort on the part of the fire department but only after 200 stalls had been gutted. The notional loss was pegged at Rs 40 crore. The authorities promised the shopkeepers a refund of the fee charged for setting up the stalls and an extension of the exhibition dates. Majority of the shops that were gutted were not insured, as a result of which authorities will have to enumerate the loss incurred. The state government’s opposition to the privatisation of the Trivandrum airport has caused road blocks in the central government’s plans. Trivandrum airport was one of six airports that the centre announced would be privatised. The state government opposed the move stating that the land of the airport has been granted by the state government and all development activities undertaken by it. In response to questions from MLAs, chief minister Pinarayi Vijayan said that all efforts were being made to retain the airport. The Airports Authority Employees Union (AAEU) is also opposed to the privatisation effort for fear of loss of jobs for the employees. The AAEU even blocked officials from KSIDC and the consulting firm KPMG, hired to inspect the airport and relevant documents. The union is opposed to private players or the participation of the state through a special purpose vehicle (SPV) as both scenarios leave a majority of the stake with private companies.